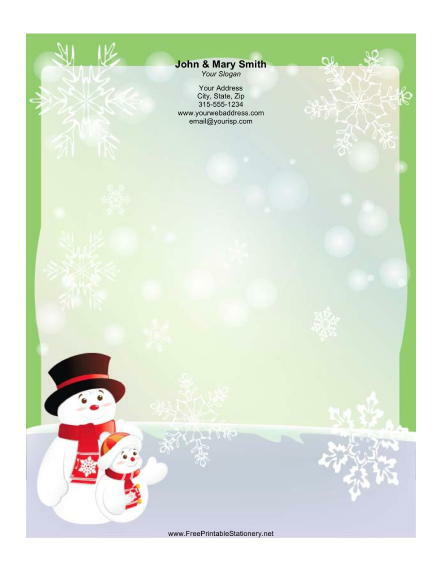 A pair of frosty snowmen in a top hat and a beanie stand on this Christmas stationery with their necks wrapped in red scarves. The paper itself is light green with snowflakes. The bright red noses on the snowmen will add cheer to any Christmas correspondence.